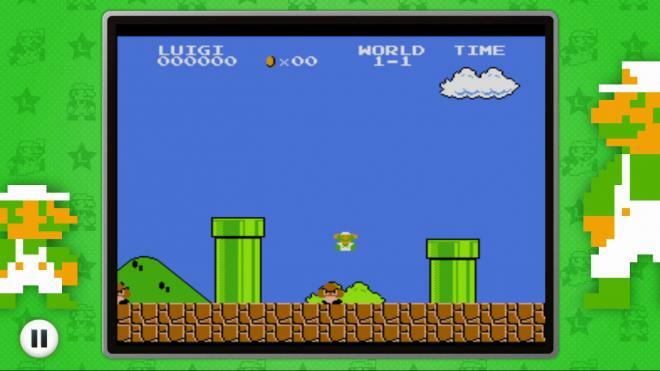 'NES Remix 2' supports Off-TV play. No multiplayer is offered outside of pass-and-play. Something must've went right. 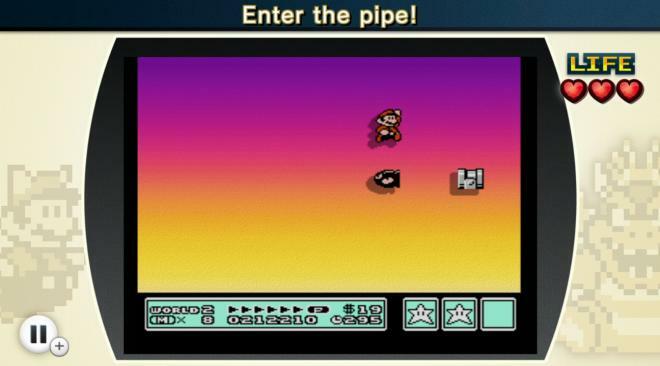 Only 4 months after 'NES Remix,' Nintendo chalked in a sequel on the Wii U eShop. With a new collection of NES classics from which microgames are created and mashed together, 'NES Remix 2' seeks to continue the parallel objectives of keeping the Wii U relevant and marketing Virtual Console titles. Can Samus, Kirby and Pit stand side-by-side with Mario and Zelda in this sequel? I was pretty harsh on the first 'NES Remix.' Admitting that, I wouldn't take back the 2/5 score. I didn't feel fulfilled and I barely felt entertained, and though the overall concept of the first title, which doesn't change even in the slightest come this quick-turnaround sequel, was in itself a flaw, there were enough issues in the simple execution of it that I went into 'NES Remix 2' with an open mind, a hope for something a little better. 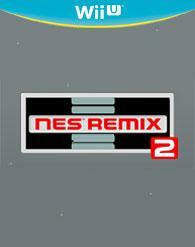 The good news is 'NES Remix 2' is a little better, it just doesn't change my mind on what is now a full-fledged series for Nintendo. As before, tiny bits of some classic NES titles are plucked out and shuffled together as 'Warioware' style microgames, a basic objective displayed as a seconds-long goal. Collect a certain number of coins in a Mario game, defeat a boss as Kirby or Samus, or just simply destroy a virus in Dr. Mario. Everything revolves around time. It's about how quickly you can achieve these would-be simple tasks, up to three stars awarded the faster you go. Accomplish a certain number of stars and you're rewarded with new minigames, sometimes new NES games from which those minigames are plucked and, most importantly, remixes. 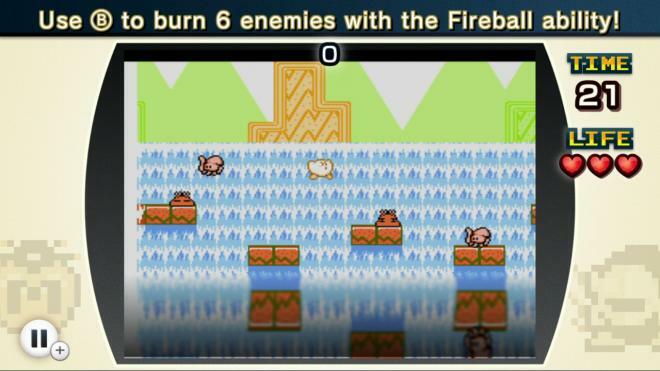 A remix takes parts of those old games, sometimes entire levels, and throws in a twist that wasn't originally present. Now it's Peach collecting those coins, maybe even Samus in the mushroom kingdom. Maybe Kirby can't stop moving. Maybe Dr. Mario levels intermittently go black and white, ramping up the difficulty of the color-based matching game. Most every one of these remixes feels creative, if slightly, like an artist's satire of him or herself. Most of the challenge arises from the fact that to get three stars, you must complete multiple tasks in a row without failing three (longer challenges give you more "hearts" to lose) times. It's simple to a fault. My original complaint holds true. There's really nothing to it, from a gameplay perspective. Unlike 'Warioware,' which constructs mini-games in a similar manner but compiles them in a game show-like frenzy, the overarching structure doesn't compel or energize in a meaningful way. Opting instead for a mobile-app type incentive strategy, where shiny stars and high scores are supposed to represent achievement, 'NES Remix 2' depends almost solely on the power of nostalgia and decades-old charm to justify its existence. The only other justification is on the business side of things. You'll notice most of these titles are available in full form on the Wii U eShop. Hilariously, some of the so-called opening challenges were actually just introduction videos to the game, without even a modicum of interactivity. There's even an in-game button directing you to the "Purchase" button, which still bothers me. Were the Wii U not hemorrhaging money, both 'NES Remix' titles could have very easily been free games, and thus acceptable as a means to market the Virtual Console. -Both of the sequels to 'Super Mario Bros.' are present, and both are very strange. Many American fans are acquainted with 'Super Mario Bros. 2,' the plant-picking, multiple character, fever dream in the mushroom kingdom. On the other hand there's 'Super Mario Bros.: The Lost Levels,' a challenging expansion of ideas from the first game, similar to the advancement from 'Super Mario Galaxy' to that game's sequel. 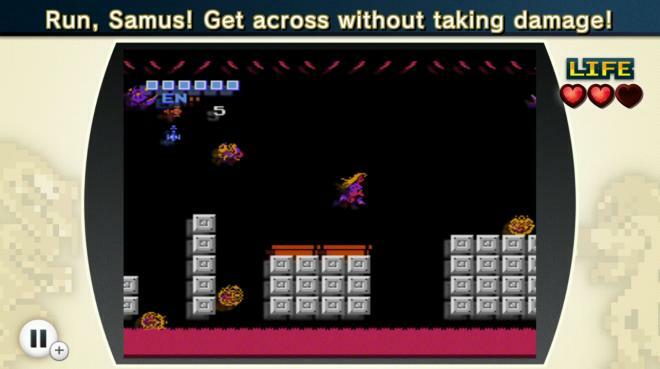 -'Kid Icarus,' which is also very challenging, remains intriguing in its creative AI programming (especially for the times) and mythological boss fights. -'Kirby's Adventure' is an obvious choice in the wake of 'Kirby Triple Deluxe' for the 3DS, but he feels as good as ever to control. -I'm reminded, once again, that the original 'Metroid' title requires the precision of a world class surgeon. -The wonderful 'Punch-Out' holds up so damn well, and with 'Little Mac' throwing down in the upcoming 'Super Smash Bros.,' I have hope we'll see a new HD title in the old series. -On par with the strangeness of 'Super Mario Bros. 2' is 'Zelda II: The Adventure of Link,' a game I'll never try to play after my short rounds in 'NES Remix 2,' but am thankful to have gotten it out of my system. -'Wario's Woods' is the only real let-down. It's still legions ahead of 'Clu Clu Land' as a representation for puzzle games. -The Bonus rounds, a late-game unlock as before, lets you run through some NES titles undeserving of their own subsections. And still I say 'Ice Hockey' is the greatest title of all time for the sport. Finally, the most important change to it all is a simple replay function, which accompanies Miiverse posts for any given challenge. Even in those tiny bits of gameplay, people somehow find a different way to accomplish goals. Watching their replays is seamless, entertaining and adds a whole new layer to the social side of 'NES Remix.' It transitions the game from a solo to even to an ever-so-slightly less solo event. The remixes, thankfully, take some visual liberties with the old material. What were once static backgrounds are now more vibrant and display shadows of old characters. Giant Boos stalk you in a 'Metroid' level and darkened levels with only spotlights to guide your way turn a familiar romp into a minor horror story. I kind of wish every single challenge at least saw a visual makeover, but most of the time you're looking at art from thirty years ago, which is nostalgic and fun, yet lacking in any real oomph. Nintendo learned its lesson from the first title and really toned down the menu music. Whereas in 'NES Remix' we were subjugated to the boundlessly enthusiastic, 'NES Remix 2' continues the strong Nintendo tradition of elevated elevator music to guide you from menu to menu. It's both a relief and a reminder that getting in your face is not the best way to get noticed. As already mentioned, your primary goal here is to do these microgames with speed and achieve three stars, or even the coveted three rainbow stars. Despite the tickle in my belly occurring whenever those colors started flashing, getting only one or two stars was never disappointing enough to bring me back. And once I unlocked every challenge, my desire to turn the game back on was just as null. The replays, on the other hand, gave every challenge a social quality, which some might consider a boon for the replay factor. A pair of extra modes round out the package. Super Luigi Bros. is 'Super Mario Bros.' where every level is played backwards, right-to-left, and the slippery Luigi is under your control. I played it twice and had no desire to go back. I'd much rather wear a red shirt under my overalls. On the other hand, Championship Mode (available only to owners of both titles) is three challenges in a row, all from Mario titles, where you're required to achieve a certain score before moving on. The cool part is there are a great number of ways to go about achieving the first two objectives (collecting a certain number of coins) so I find myself going back now and again. Oddly enough the three challenges are identical every single time. If there was ever potential for post-release support, it was here. Finally, as before, a healthy dose of stamps are unlocked as you progress for use in Miiverse. Anybody with an affinity for Nintendo's social network should be pleased.